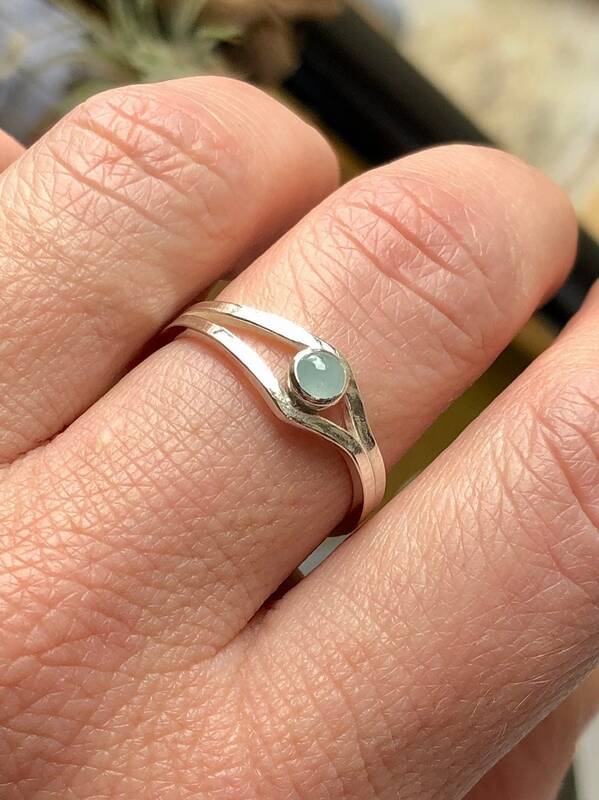 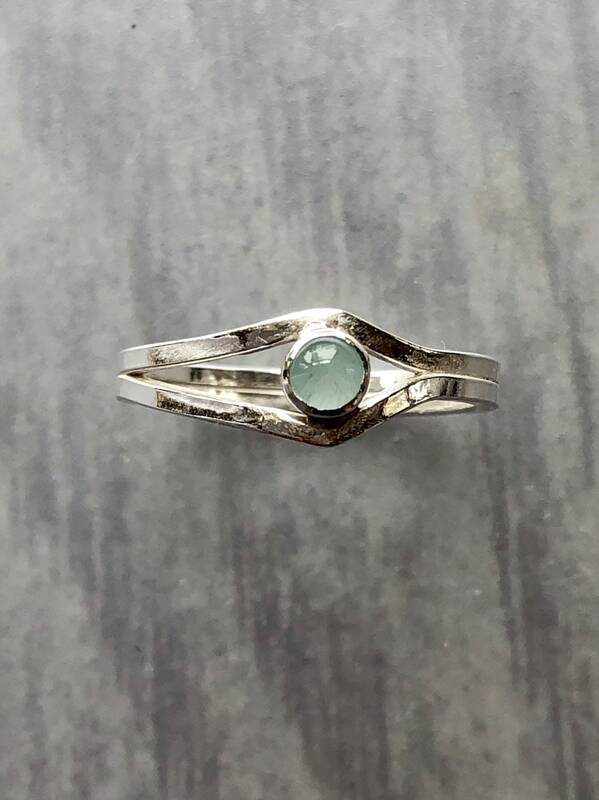 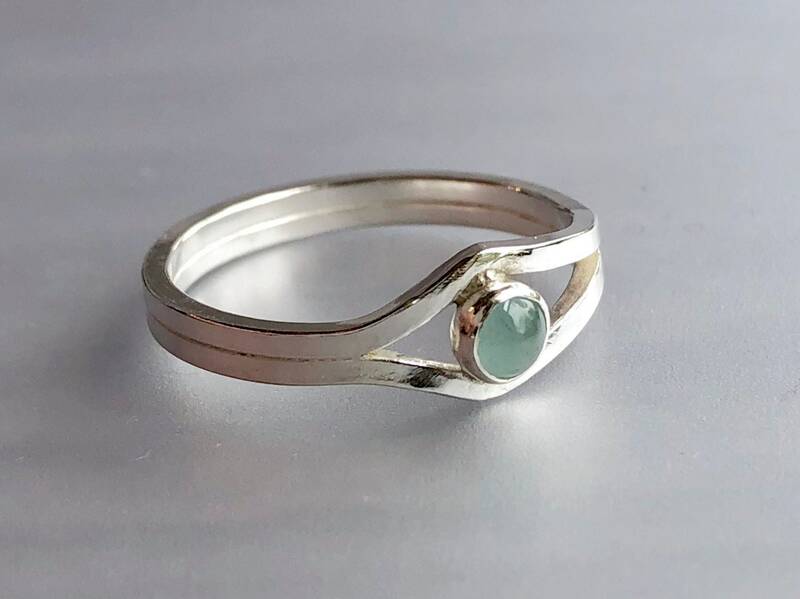 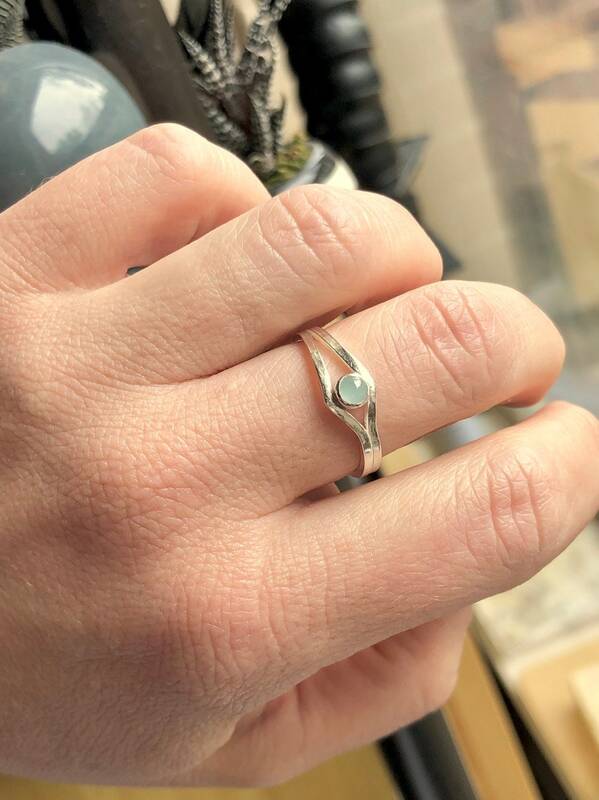 A petite round aquamarine with pale dusky blue/green color is held between an asymmetrically split band of thick square wire. 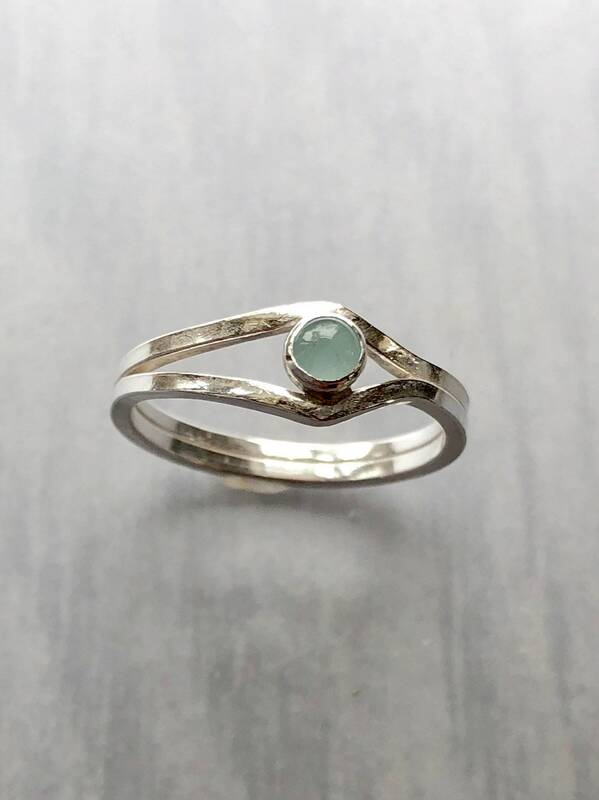 • This ring is a size 8.5. 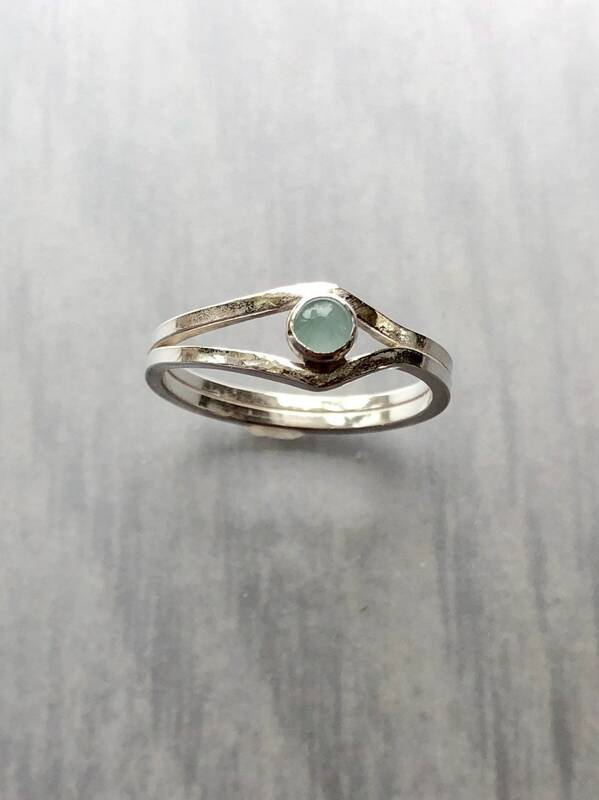 • The aquamarine is 4mm in diameter.